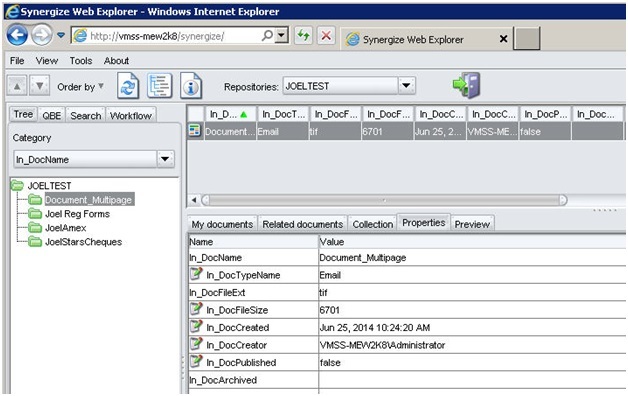 How To: Use the Synergize Bookmark within the Web Client – Microdea Inc. Please log in to access the full knowledgebase. 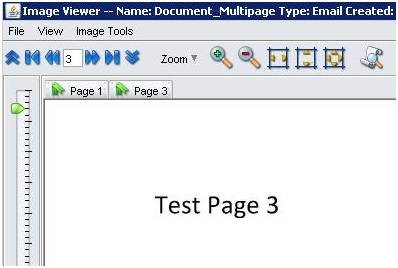 In order to use the bookmarking functionality you need to be viewing a multi page document with the Synergize Web Image Viewer. 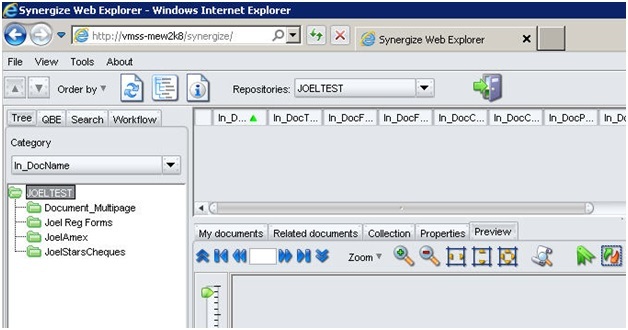 Start by logging into the Synergize Web Client and find the document that you want to view. Once you have logged in, browse to the document you are looking for and open it into the Image Viewer. 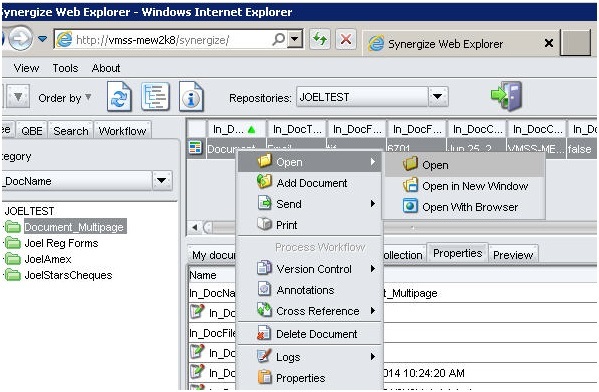 This can be done by two ways, first is double-clicking on the row in the document view of the Synergize Web Client interface. 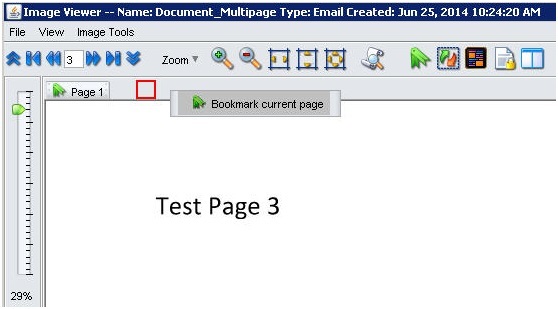 Browse in the document to the page that you want to add a bookmark and click icon. A pop-up window opens with the title "New bookmark", where you can add a name to that page. When you add a bookmark, the viewer window changes a little bit. 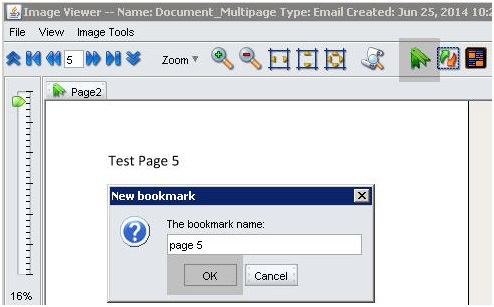 A row is added to keep track of all the bookmarks as shown in the diagram below. At this point you can add more bookmarks. More bookmarks can be added to the document and their bookmark tab goes next to the other bookmarks along the same row in the window. This is shown in the next two diagrams. Another method of adding a bookmark is to right-click an empty space on the bookmark bar. A menu option pop-up is shown with the phrase "Bookmark current page" as a title. Clicking on that option allows the user to add another bookmark with the same "New bookmark" window. 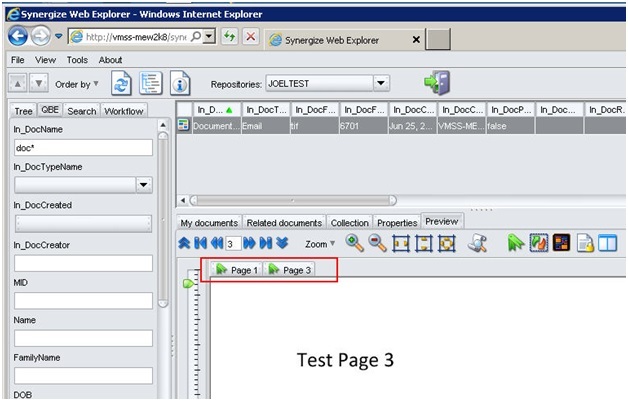 This bookmarking feature can also be used if the user turns on the full function radio button in the Synergize Web Explorer. All the same basic functionality is there to use, clicking on the green ribbon icon for the bookmark brings up a window that allows the user to name a bookmark. 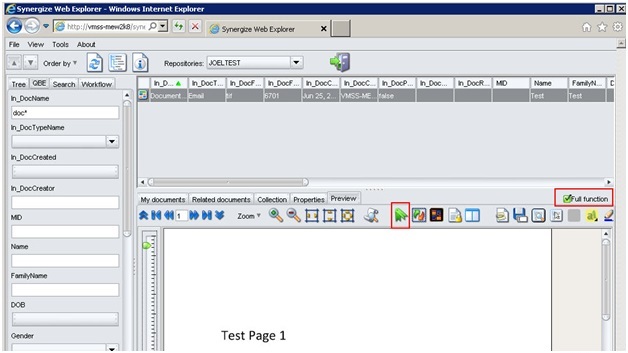 That bookmark is represented in a bookmark bar in the image section on the explorer. 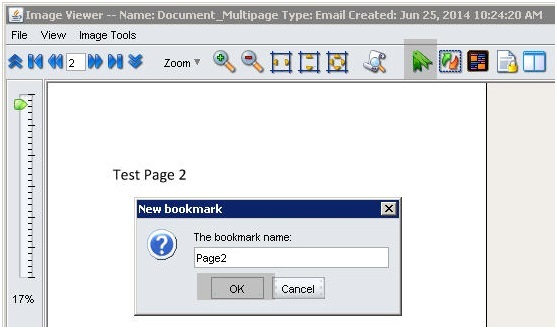 The user can add more bookmarks to the document and they will show up in the bookmark bar. The bookmark bar places the bookmarks in alphabetical order not in page order.Therefore use a similar naming convention when creating bookmarks. When bookmark names are added "Page 2" and "Page 10", the second one is placed in front because ascii alphabetical order puts the character '1' from '10' in front of the character '2' from the first name. There is no way save bookmarks after you close the image. Therefore it is only useful while viewing the image. If the user is logged out, all the bookmarks are not retrievable. Bookmarks are case sensitive. 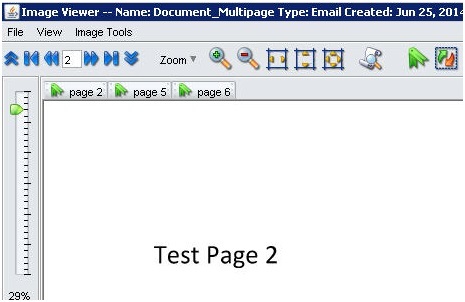 The names "page 1" and "Page 1" are different because of the Capital 'P' has a higher ascii value than lowercase 'p'.